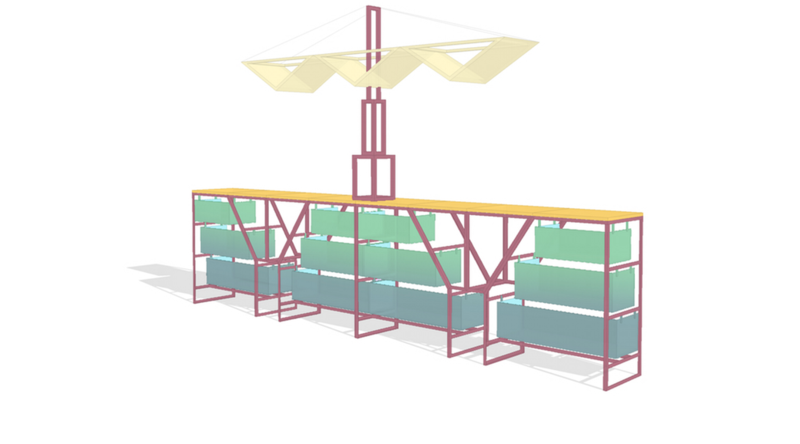 Designed for STORE, the mobile bar is made to be transported by bicycle and deployed. With its lightweight steel frame, detachable storage units and hinged bar surface; the bar is flexible enough to work in different spaces for a variety of uses. Currently being fabricated for use at various events and festivals throughout London during the summer months and beyond.